Since I’m a big fan of floral patterns, I went for the Floral Purple version and I regularly receive complements on it, even from random people on the street! There are many other great designs such as Love Tree or Blossom, so all you have to do is pick the one that best suits your personality and the colour of your Instax Mini. 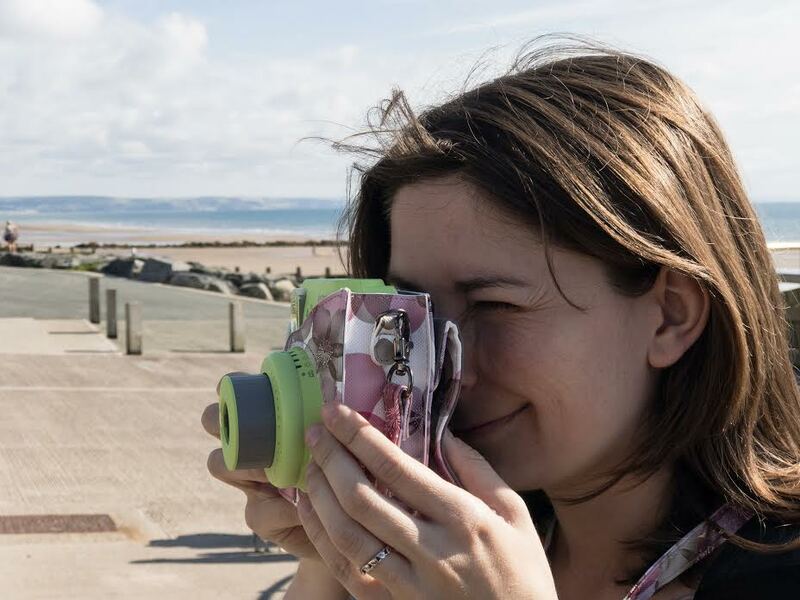 The case is made of premium synthetic leather, which they also call vegan leather, and features a soft microfibre interior that keeps your camera safe from scratches, dust and general wear and tear. 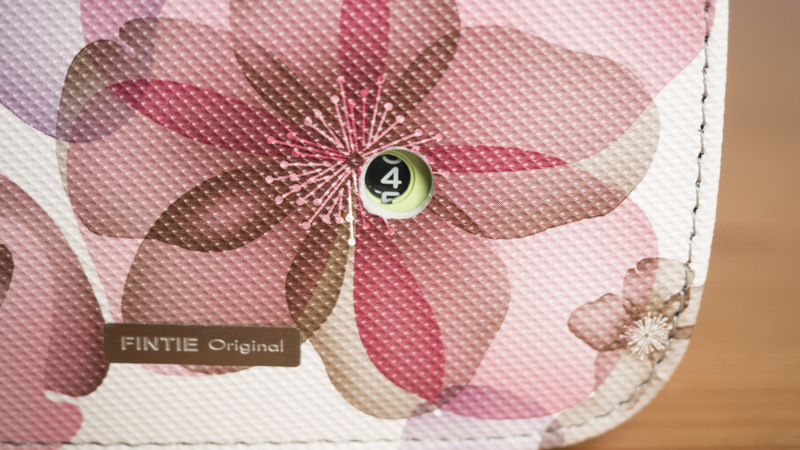 …and the inside is covered in microfibre. The material itself seems fairly resistant to water but I wouldn’t use it on a rainy day for the simple reason that there are many gaps, such as the one for the viewfinder, where water could easily seep in. 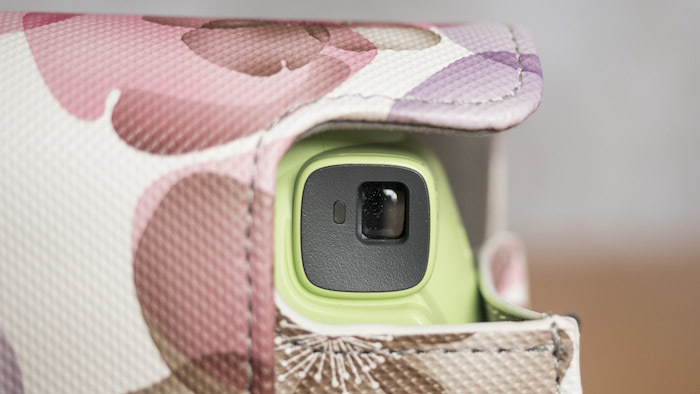 When you first take the case out of the package, you’ll notice that the bottom half has been flattened down, but it soon conforms to the shape of the camera after a day or two of use. The top flap attaches to the bottom via two snap-on buttons and it hasn’t accidentally popped off since I started using it a month ago. In the closed position, it is kept in place by two magnets. 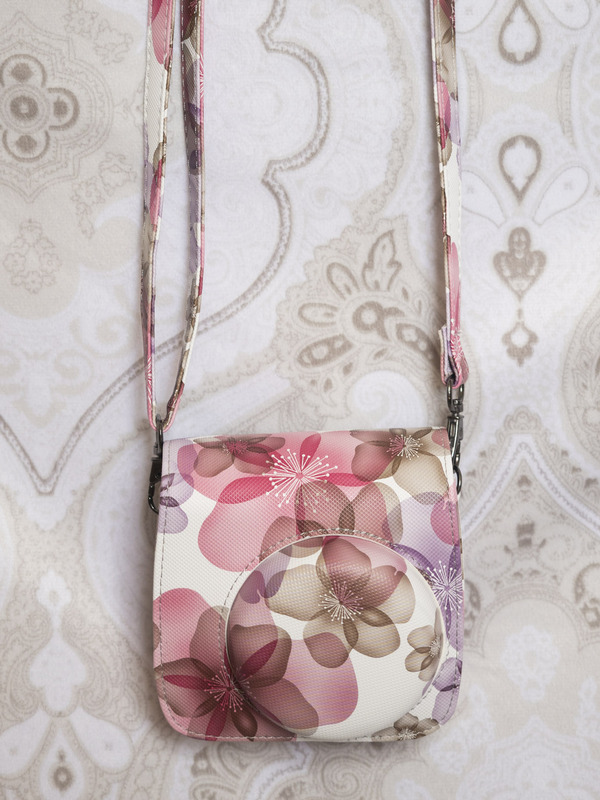 The strap is made from the same synthetic leather as the bag. Though it is quite rigid when you first take it out of the package, it does soften within in a few days. 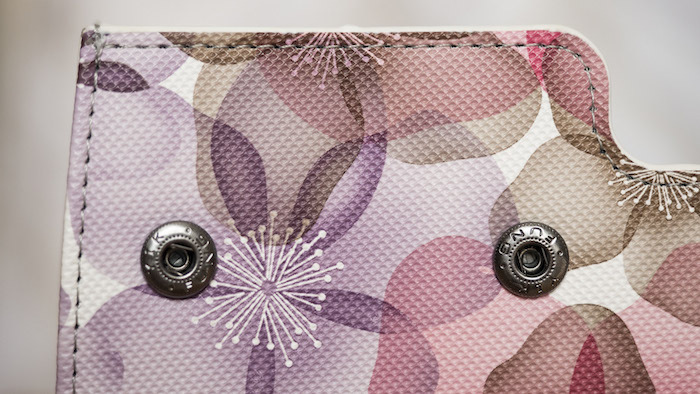 It attaches to the case’s metal D-rings via two snap clips. On my copy of the bag, one of the two snap clips was very stiff at first – so stiff, in fact, that I had to tap it with a hammer to loosen it. It now works better than before but it does occasionally get stuck in the open position when I go to remove the strap. 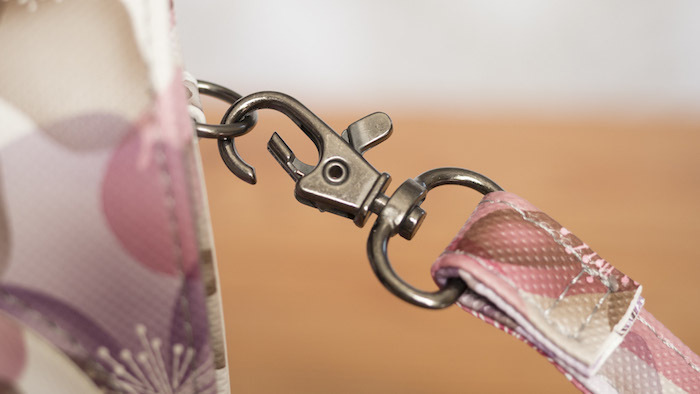 Because the snap clips twist 360 degrees, the strap rarely gets tangled. 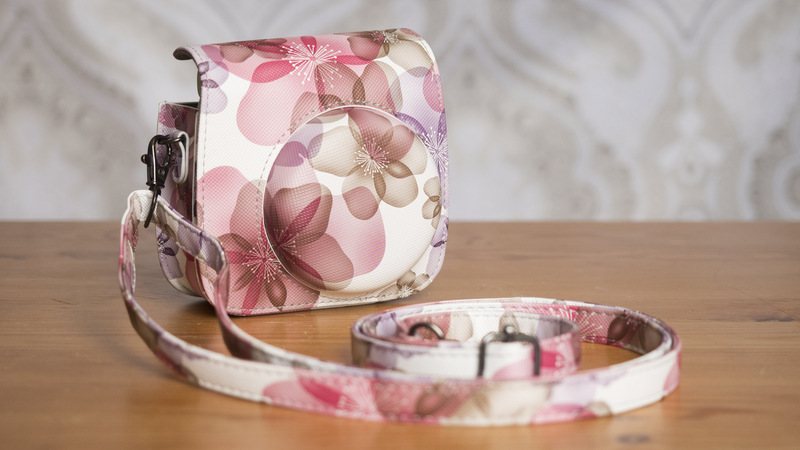 You can adjust its length via the metal buckle positioned halfway along the strap. 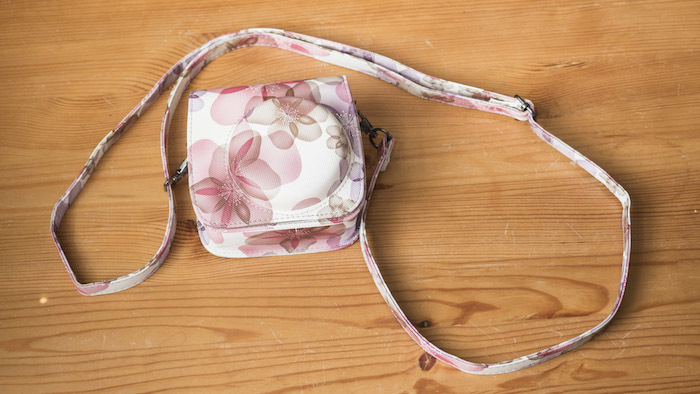 It can be used as either a neck or cross-body strap depending on how you like carrying your Instax. 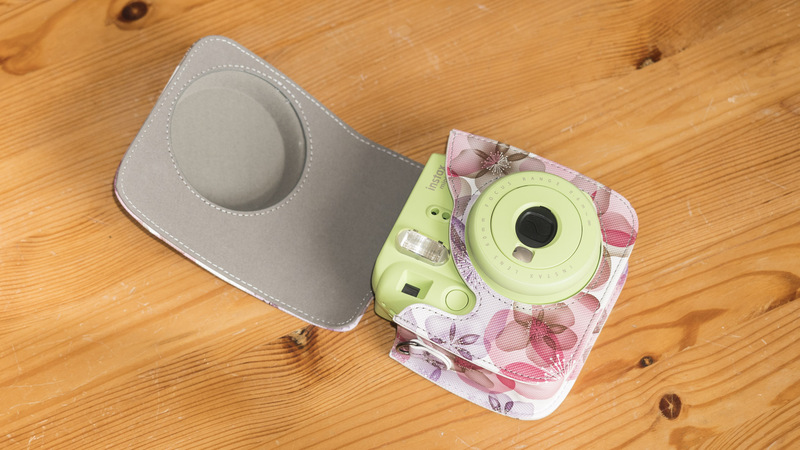 Inserting your Instax Mini into the Fintie case is extremely straightforward – just slide the case into the bottom half, making sure that the lens pokes through the dedicated hole, and close the top flap. If you want to take pictures, you can either remove the top flap completely or flip it all the way back so that it’s resting against the back of the bottom part of the case. 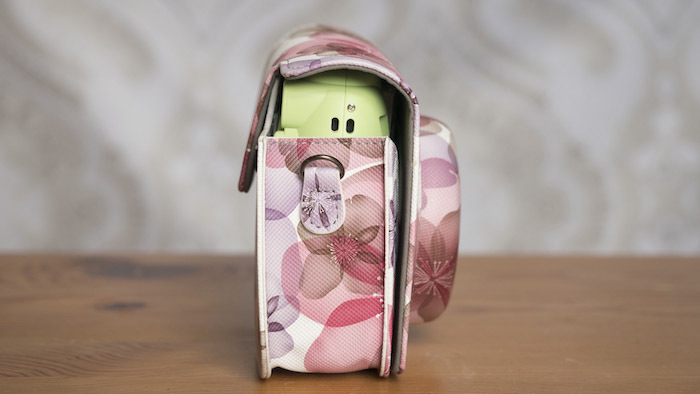 The viewfinder, shutter button, light meter, flash and on/off button are all accessible with the case attached, as are the eyelets on either side of the camera. 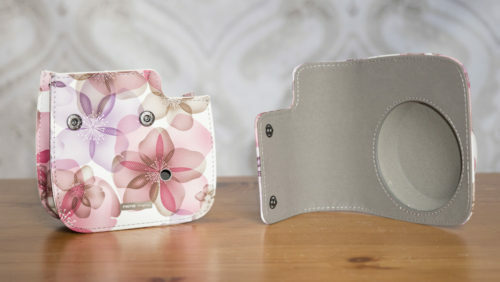 This means you can opt to use the case with a strap of your choice attached directly to the camera. You don’t have to remove the case to see how many shots you have left either because there is a hole in the case where the counter is located. The only design flaw I can see is the small pocket on the rear inner wall of the case. It has been designed to store Instax photos but it’s a bit useless because it only comfortable fits two or three at a push. Would I recommend the Fintie Case? 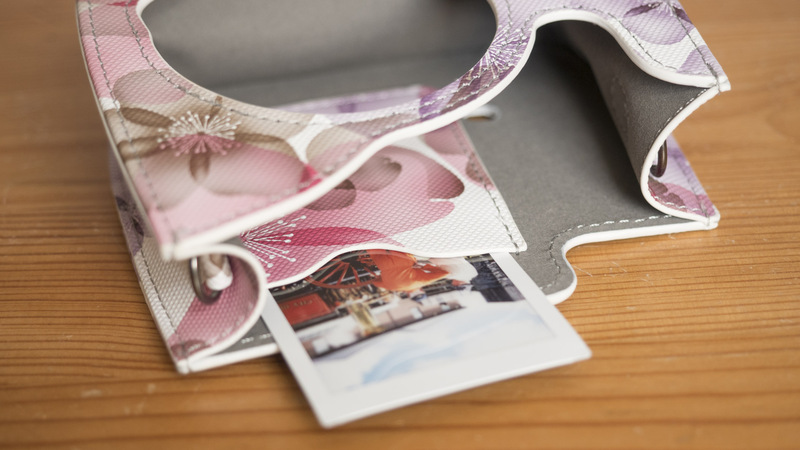 For the money, I would say that the Fintie case for the Instax Mini is a no-brainer. Not only are the designs gorgeous but they also seem to be well-made and fit the Instax Mini 8 and 9 cameras to a T.
I also really like the fact that they don’t scream “camera bag”. 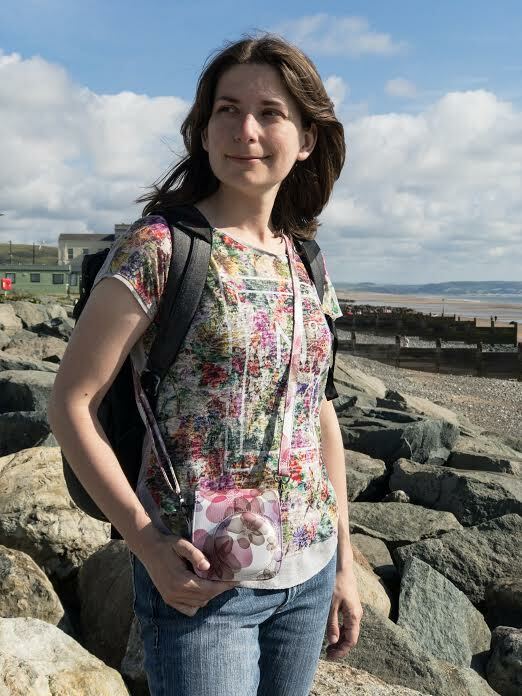 In fact, when I took mine out to a jazz concert one evening, a couple of people thought I was carrying around a cute evening bag. My only real beef with the case is the small pocket for photos. 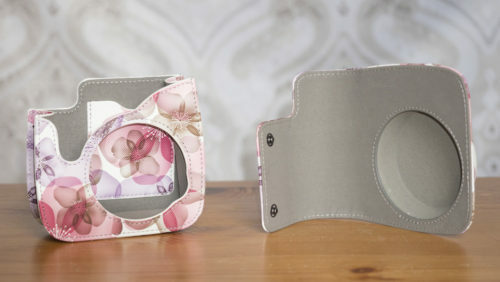 A slightly larger pocket on the outside would have been more useful like the one on the Katia Instax cases. 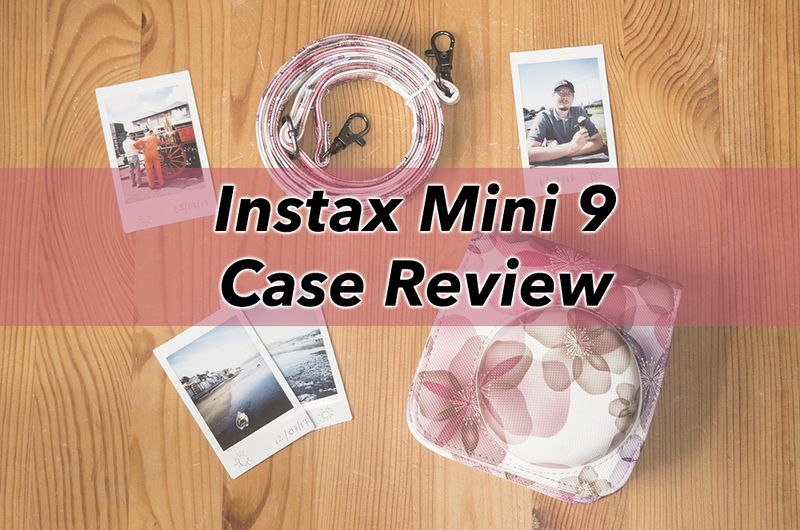 Which case do you use with your Instax Mini camera?